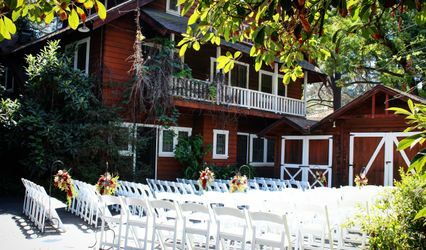 The Hotel Temecula is a historic hotel wedding venue located in Temecula, California. 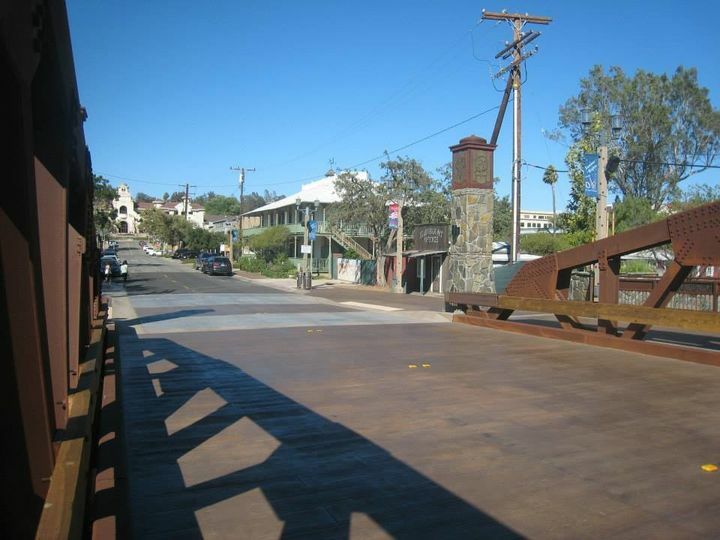 The facility exudes Old West style, and was first built in 1883. Unfortunately, the original structure burnt down, but the current building was erected in 1891 and has been operating ever since. When couples and their loved ones explore the hotel, they will be transported back in time. 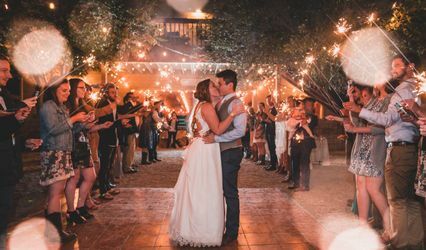 The celebrations held at The Hotel Temecula are sure to be unforgettable. 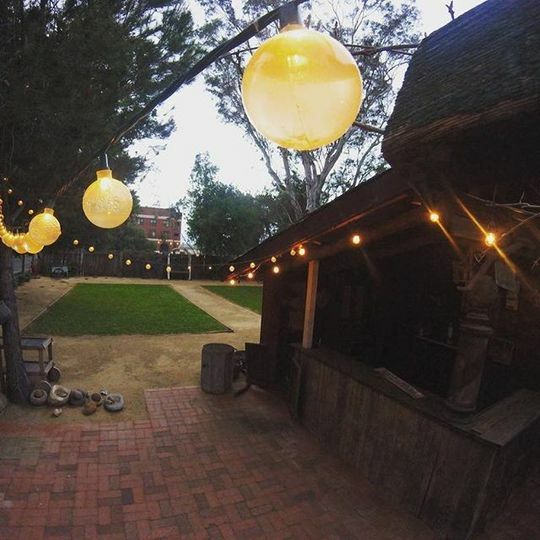 The Hotel Temecula features both covered and uncovered outdoor spaces for weddings. 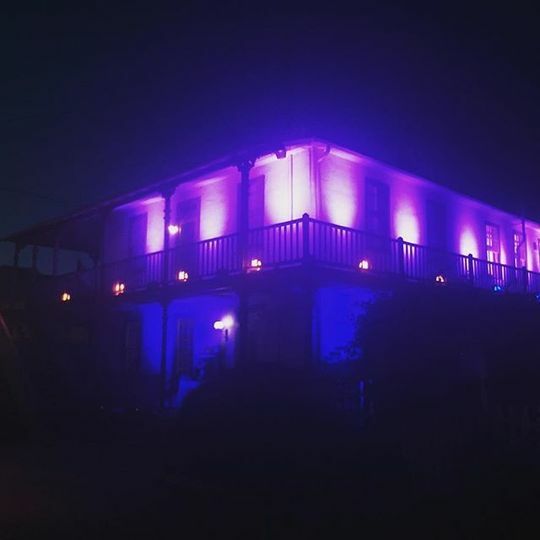 Couples and their guests are welcome to utilize the hotel for overnight accommodations, and get-ready rooms are also available. 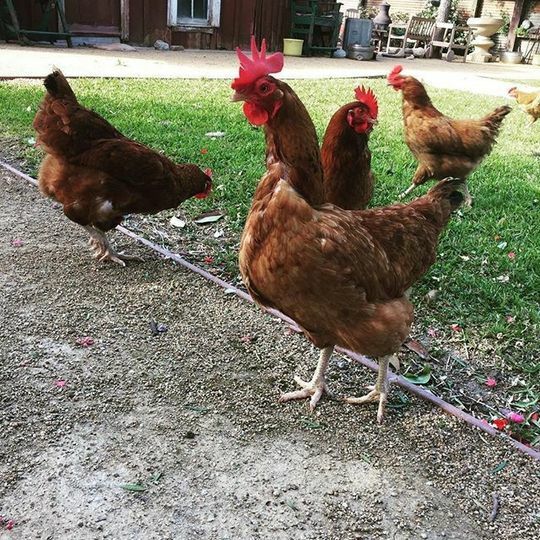 WiFi is provided, and the facility is wheelchair accessible and pet-friendly. There is ample parking for everyone in attendance, and the maximum capacity is 150 guests. The Wisteria Patio behind the hotel is a lovely spot for guests to relax, and features a wisteria that was planted in 1891. 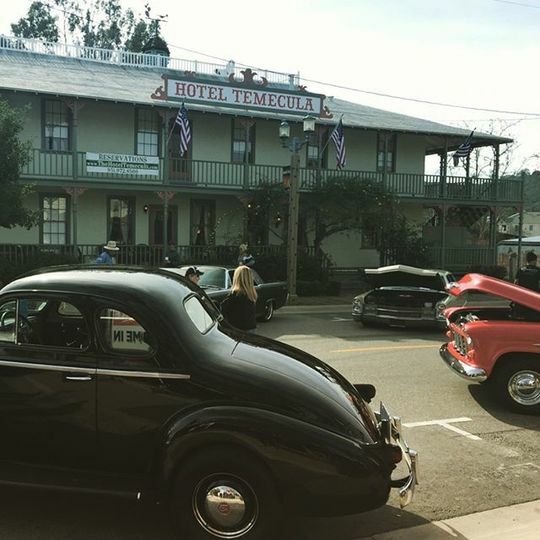 The team at The Hotel Temecula is happy to provide bar services, and outside vendors are also welcome. 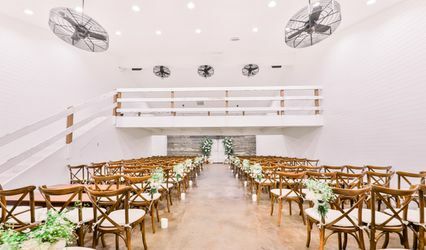 The facility can host many wedding events, including the ceremony, reception, rehearsal dinner, bridal shower, and engagement party. Elopement ceremonies are also welcome. Guests can enjoy the scenic views and the long history of the facility while attending the celebration. 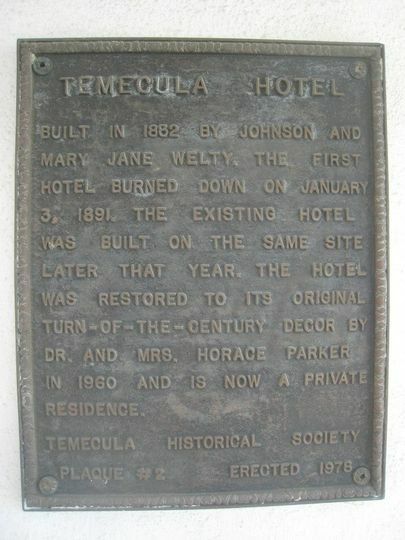 From the creation of The Hotel Temecula in 1883, R.J. and Mary Jane Welty ran the business for 30 years. After this, it was sold to Grace LeClare and run as both a hotel and an apartment building. Local historian Horace Parker and his wife purchased the facility in 1960, and subsequently sold it to the Becks Brothers in 2014. 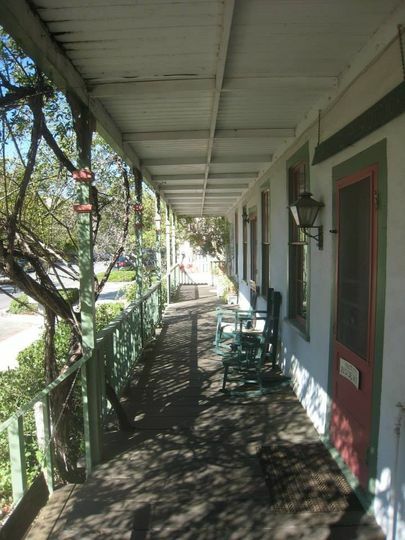 Throughout its rich history, the hotel has been the Machado General Store, the local schoolhouse, and town hall. 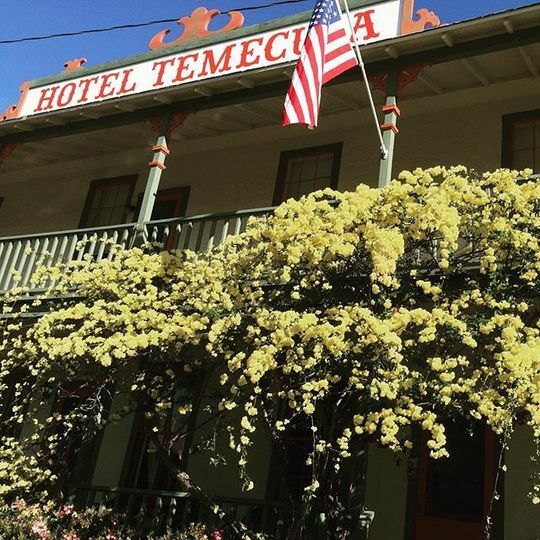 It was home to the Temecula Post Office from 1895 through 1915.